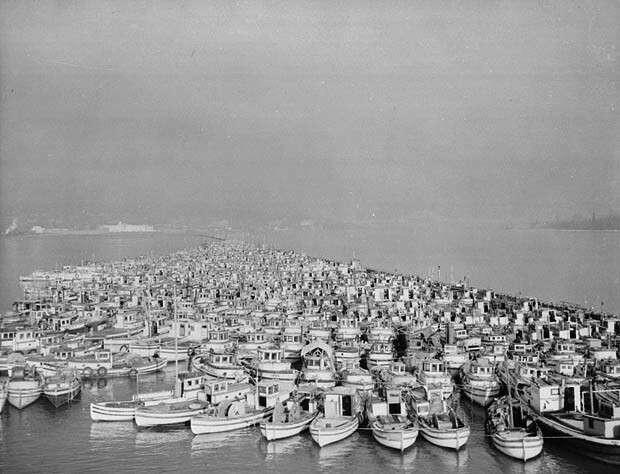 This section will examine the impact and role that certain Canadian institutions and pieces of legislation played in the internment and deportation of Japanese-Canadians. Specifically, the use of the War Measures Act, and the Canadian Office of the Custodian of Enemy Property will be analyzed. 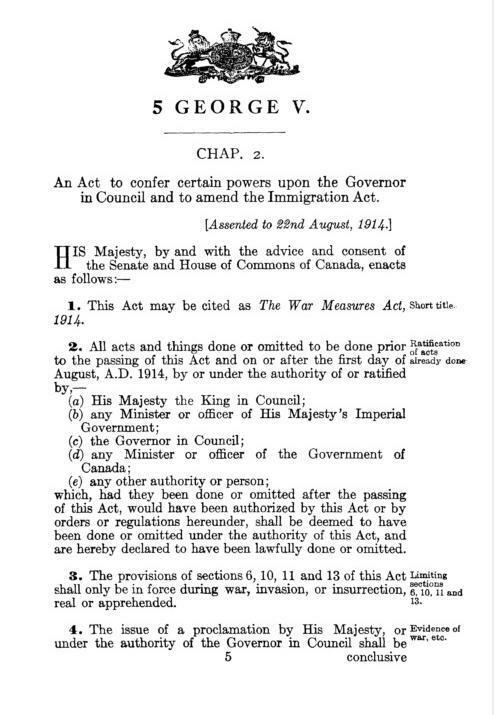 The War Measures Act is a Canadian Statute, first introduced in 1914. The purpose of the Act was to give the federal government absolute authority in times of “war, invasion or insurrection, real or apprehended” in order to ensure the security and welfare of Canada. In 1942, Prime Minister William Lyon Mackenzie King used the War Measures Act to deal with Japanese-Canadians (who were deemed as enemies of the state). That is, the War Measures Act gave him the power to invoke laws/legislation that would have otherwise violated the existing laws and Canadian Charter. Among various decisions under the Act, all Japanese-Canadians were required to register with the Registrar of Enemy Aliens, and were required to move at least 100 miles inland from the Western Coast of B.C. Consequently, most Japanese-Canadians were first held in livestock barns and were separated from their families. Those who resisted were incarcerated in Prisoner of War camps. 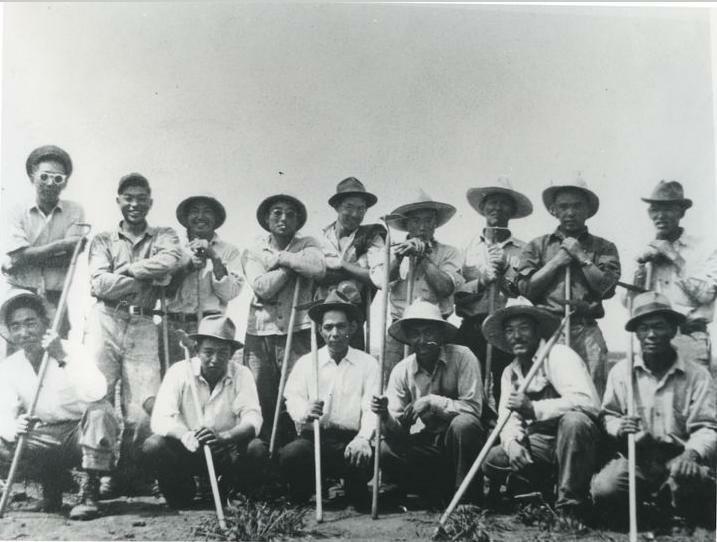 Many Japanese-Canadians were sent to internment camps in the interior of B.C., farming communities in Alberta or Manitoba, or road camps/industries in Ontario. Below is a group photograph of Steveston fishermen working on a sugar beet farm in Iron Springs, Alberta. “An Act to Confer Certain Powers Upon the Governor in Council and to Amend the Immigration Act,” Early Canadiana Online, accessed February 18, 2017, http://eco.canadiana.ca/view/oocihm.9_08039/2?r=0&s=1. 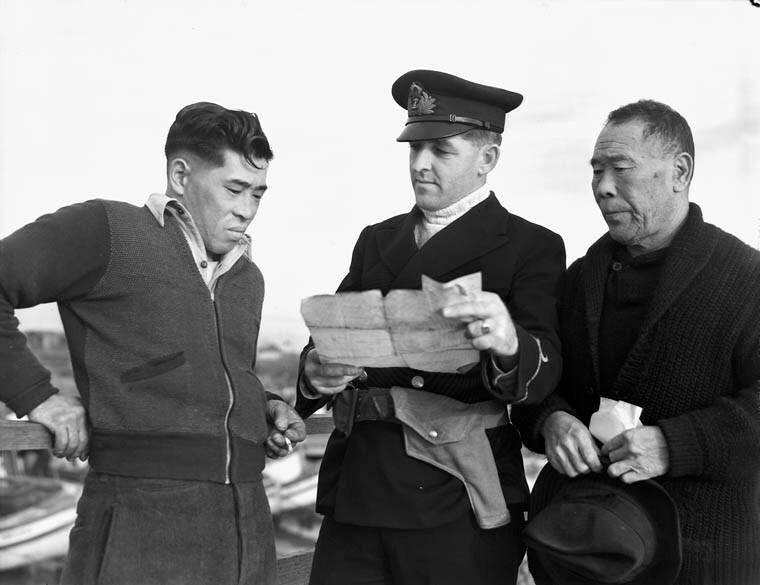 Within three months of the bombing of Pearl Harbour, the RCMP was granted permission to search without warrant and confiscate property of Japanese-Canadians. All land and property was held under the Custodian of Enemy Property in trust. However, in 1943, all such property held “in trust” or under “protective custody” was later sold without the owners’ consent. The Custodian of Enemy Property auctioned this property (farm land, homes, vehicles, personal possessions, etc.) at a fraction of their worth in order to pay auctioneers and cover storage, handling fees, and the living expenses of the internees. “The Outbreak of War: Enemy Alien Legislation,” Canadian Race Relations Foundation, accessed February 19, 2017, http://www.crrf-fcrr.ca/en/component/flexicontent/396-japanese-redress/24035-the-outbreak-of-war-enemy-alien-legislation. “Dispossession,” The Politics of Racism, accessed January 27, 2017, http://www.japanesecanadianhistory.ca/Chapter5.html.